Take a night or two off to explore all the stunning food the city has to offer. Here are some of our favorites, all near to your home at ONE Mission Bay. Almanac Taproom and Beer Garden — With a stunning back patio, this is where you’ll find us when the sun is out. The first brick-and-mortar outpost of Almanac Beer Co. has landed in the Mission, boasting a menu of creative snacks, sausages and burgers. There is also a huge selection of Almanac’s signature style of barrel-aged beers on tap, as well as fresh beers, cans, bottles, and growlers to go. Alba Ray’s — This hot spot is a taste of NoLA in the Bay. Gumbo, oysters, Sazeracs, and Hurricanes are all on deck at this new Cajun spot in the Mission, with plenty of beautiful local produce involved. Chef-partner Adam Rosenblum spent time at some of New Orleans’ best restaurants, and he’s brought that passion West. 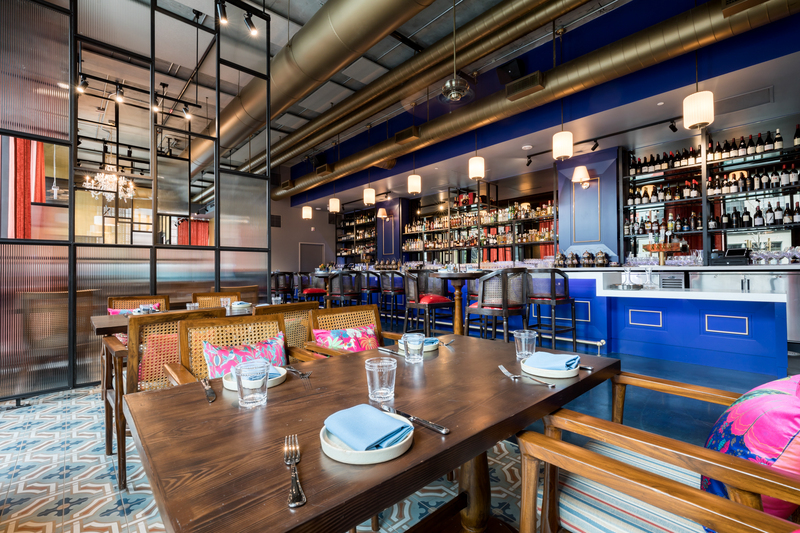 ROOH SF — (Pictured Below) Walking distance from One Mission Bay, ROOH is a different take on “modern Indian” in SoMa, offering a menu rich in both meaty and vegetarian items. The cocktail list is particularly inventive, with options like chai punch and a mustard old-fashioned, made with bourbon washed with ghee and mustard oil. Mister Jiu’s — One of the hottest seats in town, Chef Brandon Jew’s highly anticipated Chinatown restaurant has opened, offering a five-course, banquet-style menu of contemporary Chinese food. The thoroughly modern space is in the old Four Seas restaurant, now a destination for family-style meals using premium ingredients. Sizzling rice soup, salt and pepper Monterey squid, and tea smoked duck are some of the options, accompanied by cocktails from Danny Louie.